We Came. We Saw. We Geeked Out. Since 2008. 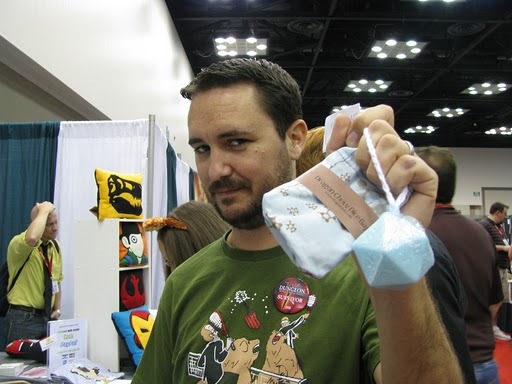 Wil Wheaton holding up his Dragon Chow Dice Bag and GEEKSOAP D20 on a Rope! Muggles Market Too Spotlight: Barzworks! Worth A Million Words! Geek Gala and Muggles Market Photos are Up!